At Bridgman we pride ourselves on the quality of our products and customer service. We are aware that consumers are comprehensively covered by statutory rights, but for extra peace of mind we offer our customers an extension of these. All of the garden and conservatory products listed on this site are covered by our 30 day money back guarantee. If a product purchased from our website is faulty you have 30 days in which to return it for a replacement or full refund. If for any reason you are not happy with your purchase or no longer want it, simply return it in its original condition within 30 days of receipt for a refund. We cannot refund carriage charges after 7 days of receipt if the product is not faulty. Bespoke interior furniture is not covered by this same guarantee because it is made to order, especially for you. Our commitment to quality ensures that all Bridgman products are designed and manufactured using the highest quality materials and production techniques. We use some of the world’s finest craftsmen to ensure that our furniture will last for many years. 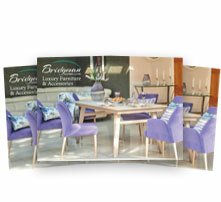 We do not cut corners on raw material costs, ensuring that the durability of Bridgman furniture is first class. 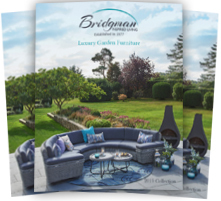 To underline the confidence we have in the quality of Bridgman furniture, selected ranges, where specifically indicated, benefit from an extended 3 or 10 year guarantee as detailed below. We undertake to guarantee products used in a domestic setting for two years Parts and Labour plus a further one or eight years Parts only from the date of purchase, against faults in the materials or workmanship. During the initial two year period products will be repaired or have parts replaced at the discretion of the Company free of charge. During the additional one or eight year period, parts only will be replaced provided that the common terms listed below have been adhered to. Unless indicated otherwise All Seasons Outdoor Furniture benefits from a 10 year guarantee, whilst Wickerline, Aluminium and Teak benefit from a 3 year guarantee subject to conditions below. 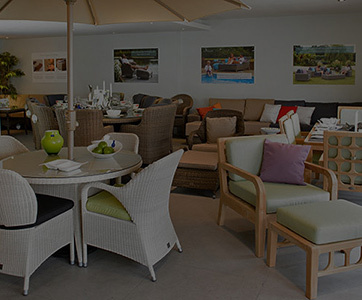 Bridgman parasols, cushions, Textilene fabrics and heaters come with a 1 year guarantee. 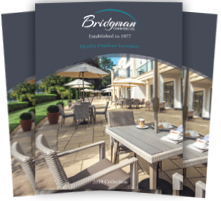 All of our guarantees far exceed industry standards and further emphasise our confidence in the quality of Bridgman furniture. Prior arrangements must have been agreed directly with Bridgman that a product or parts should be returned by the customer with proof of purchase, before any repair can be carried out or any refund made. The product must not have been misused or handled carelessly, nor been damaged, neglected or used in abnormal conditions. The product must only have been used for normal domestic purposes and not for any commercial or contract use whatsoever. If a returned non-faulty product does not arrive to us in a resalable condition, we will not be able to offer you a full refund. We will make a deduction to reflect its’ condition and refund you any remaining balance. The product must not have been modified or altered in any way and no repairs have been attempted other than by a member of Bridgman staff. The guarantee will be valid only if maintenance has been carried out in accordance with Bridgman aftercare instructions. 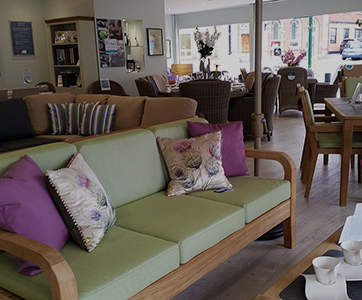 No responsibility will be accepted for any defects to furniture due to the application of teak oil or stain or any other cleaning or aftercare products not supplied by Bridgman. scratches, marks or similar imperfections are not covered. Slight fading of the weave is normal over longer periods of time. The guarantee does not cover damage, loss, or other conditions beyond Bridgman’s control such as damage resulting from unauthorised repair, infestation, negligence, misuse, improper handling or abuse, acts of God such as: wind damage, hurricanes, tornadoes, floods, fire, and any other events due to natural causes and damage caused by the improper or inappropriate use of an umbrella. 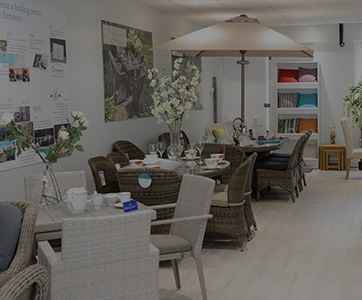 The 3 year guarantee only applies to Bridgman furniture purchased directly from Bridgman after the 1st September 2009 and is valid only on the U.K. mainland. 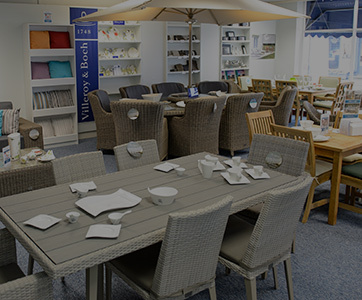 The 10 year guarantee only applies to Bridgman furniture purchased through a UK stockist or directly from Bridgman after the 1st September 2011 and is only valid on the UK mainland. If a particular product or part is no longer available, Bridgman reserves the right to use an alternative product or part as a substitute for the product or part being repaired. 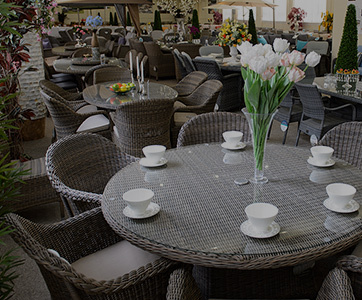 Bridgman parasols, cushions, Textilene fabrics and heaters are excluded and come with a one year guarantee only. This guarantee cannot be assigned. Bridgman cannot be held responsible for shipping or transport costs to or from the U.K. mainland. Once the furniture or accessory has left the U.K. mainland, it is the customers’ responsibility to return any furniture or accessory for repair or refund. This guarantee only covers those rights listed above and does not cover claims for consequential loss or damage. These guarantees are offered as extra benefits and do not affect your statutory rights as a consumer. Any complaint will be investigated and if confirmed as a fault in materials or workmanship under the terms of this guarantee, Bridgman at its’ sole discretion will repair or replace the product or part concerned. Bridgman’s decision on how to resolve any complaint will be final. Any product or defective part replaced shall become Bridgman’s property. The information given above is all subject to our Terms & Conditions. Should you have any questions or require assistance, please contact our customer services team who will be happy to help.